My workplace in Chennai is less than 2km from my home. I tried bicycling to work couple of times and gave up. Inconsiderate traffic, pollution, humidity and the need to lug a backpack all combined colluded against me my desire to bicycle to work. But, that is not the case in Helsingborg. The weather, infrastructure & traffic are all conducive for folks to pick up the keys of bicycles instead of their cars. Even in this small town with less 100k population, there are separate lanes for bicycle everywhere. 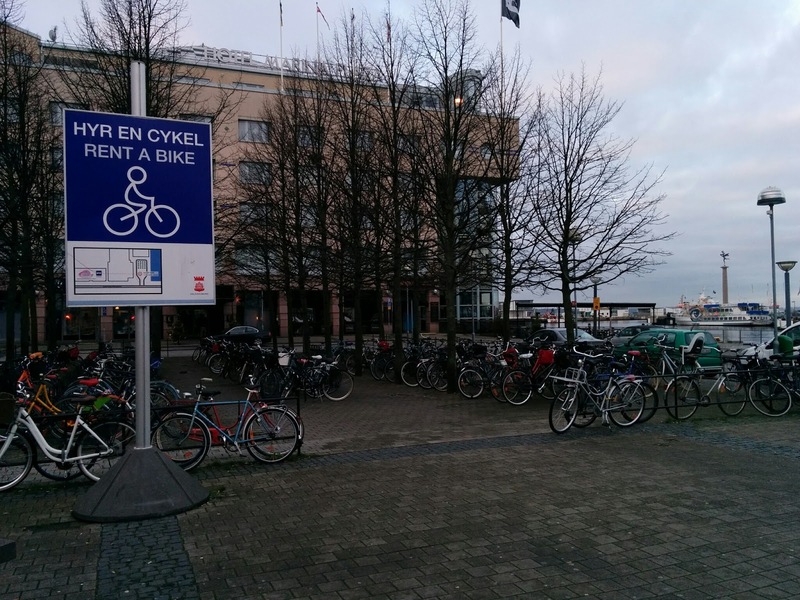 From train stations to bus stops to shopping centers, all are bicycle friendly. They have ample place to park as well hire bicycles if needed. 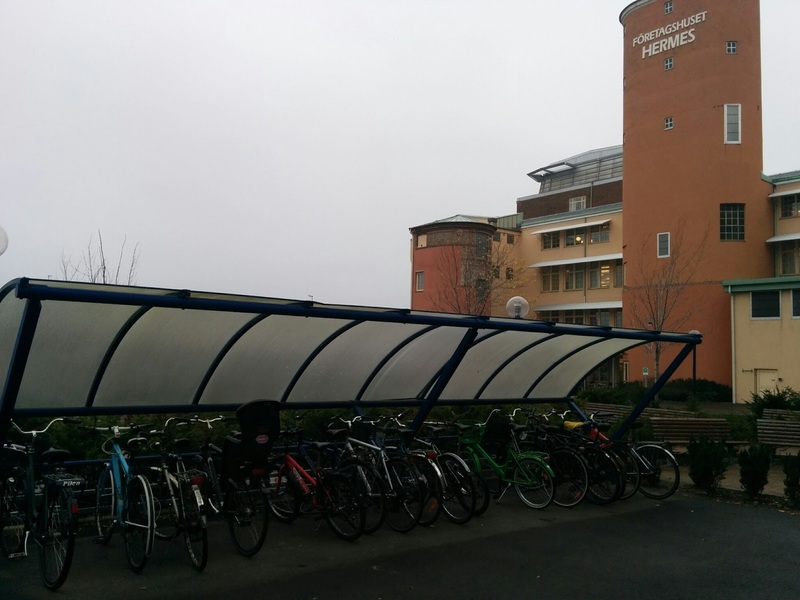 At work, bicycle parking is closer to office entrance than the car parking lot. Even in the single digit weather of this Scandinavian town, I see plenty of folks coming to work by their own pedal power. It was gratifying to see several of colleagues from India, staying here long term, coming in bicycles.